The BASS jeans & Dan t-shirt are rigged mesh clothes. 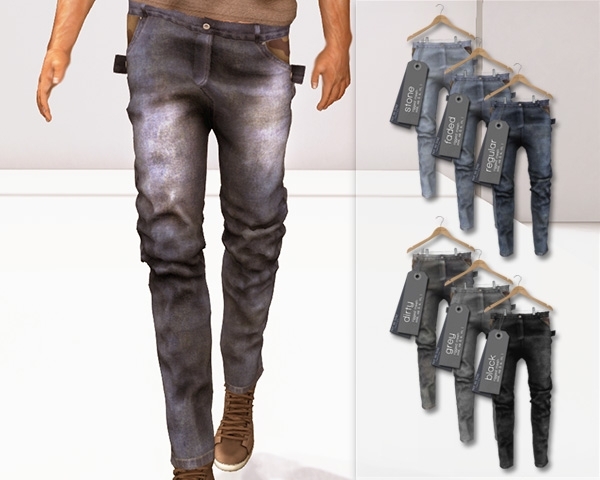 The jeans is available in 6 colors and also in 2 full pack (3 colors per pack). HUD included to customize the boxer only. The t-shirt is available in 12 colors and also in 4 full pack (3 colors per pack). Please try the demo to see how its fits with your shape.